Oracle Cards | What Are Oracle Cards Used For? Psychic Medium & Tarot | Divination | Oracle Cards | What Are Oracle Cards Used For? I adore oracle cards! They are a wonderful way for people to start learning to trust their own intuition. 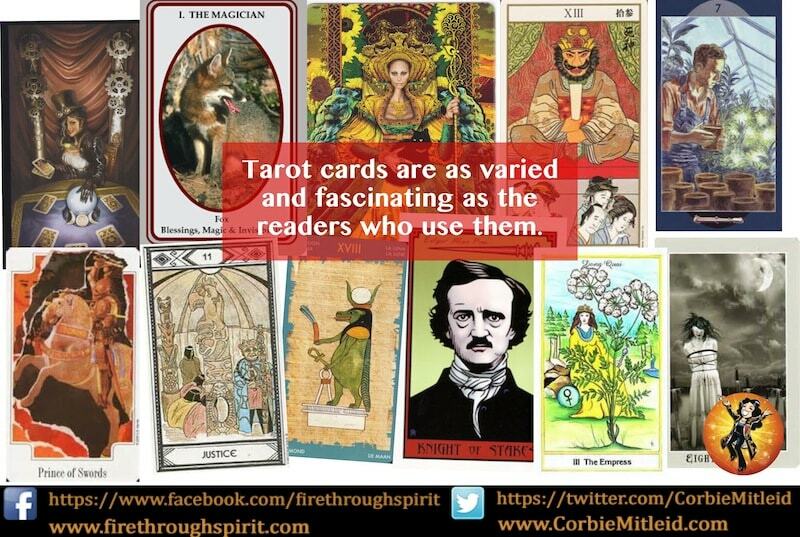 A modern invention, these decks come without the years of history and “rules” that go with the realm of Tarot cards. Each one of them has found their particular “niche” in my reading repertoire. For instance, the John Grey deck is one I specifically pull out to talk to people about their Karmic path and Karmic relationships with people in their lives. The Froud/MacBeth deck is targeted to people who are absolutely serious about wanting to know their Spiritual Road and can take the “tough talk.” Virtue’s Ascended Masters deck assists me in giving a spiritual storyboard for the clients’ year to wrap up a reading session – and so on. And when I first got each deck, I would spend time just looking at the artwork, shuffling and dealing out the cards in various formations, until the cards made it very clear how they’d enjoy working with me, even suggesting specific spreads to help me find answers and paths to support my clients’ Earthwalk.